4 teams of Ski masters are headed to Pakistan to attempt ski descent on 4 8000ers in Karakorum Range. There is no expedition on Nanga Parbat this year, but there are several expeditions on other 4 8000ers, which are K2, Gasherbrum II, Gasherbrum I and Broad Peak. There are 4 confirmed ski teams so far, they will attempt ski descent on K2, Gasherbrum II, Gasherbrum I and Broad Peak. 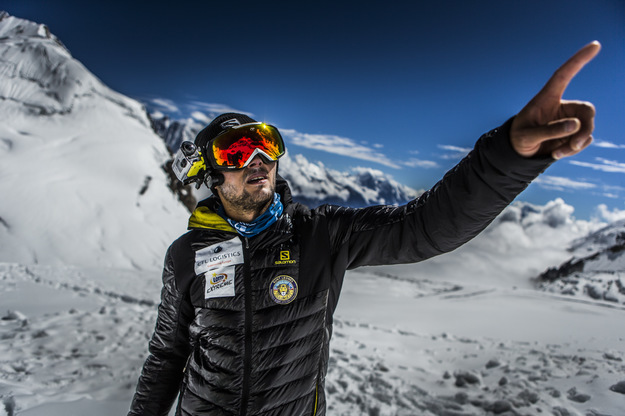 A team of two Polish climbers Olek Ostrowski and Peter Śnigórski are seeking to become the first Polish team to descent on Skis from summit of Gasherbrum II which is 13th highest mountain in the world, with elevation of 8035 meter. 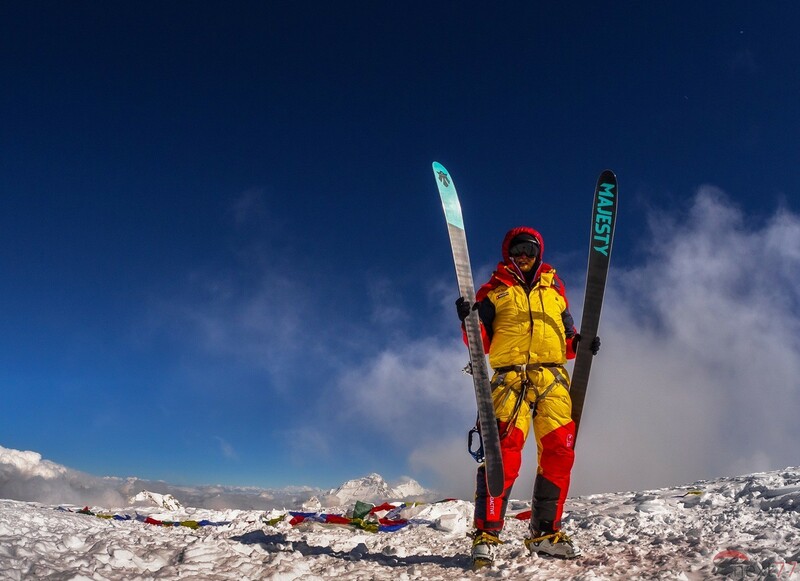 Both climbers have enough ski experience to attempt ski descent on an 8000ers, Olek Ostrowski skied down from summit of Cho Oyu in September 2014, which is another 8000er. Polish duo left for Pakistan on June 17, they are in Urdukus camp site right now. Polish duo will reach Gasherbrum II base camp in probably 2 days. Polish team will ascend in alpine style: without help of high altitude porters and supplemental oxygen. Leading Polish climbers and ski masters Andrzej Bargiel and Dariusz Zaluski will try to set world record by making ski descent from summit of Broad Peak 12th highest mountain in the world, 8051m in elevation and never skied down by anyone before. They are also willing to set world record by making ascent and descent in less than 24 hours. Polish duo set off to Pakistan on June 28. Andrzej Bargiel is Polish ski champion and has set many world records. He is known for speeds ascents and speed descents on skis. Andrzej in 2014 climbed Manaslu 8th highest mountain in the world in record time of 14 hours and 5 minutes. He then completed descent of 8000er in 7 hours, time of ascent and descent was recorded to be 21 hours and 14 minutes. Andrzej set a speed record in race to Elbrus in 2010 and record is still unbeaten. Dariusz is also leading Polish climber, he will be acting mainly as camera man to record epic ski. The team consisting of 5 Slovenian climbers Davo Karničar, Louis Golob, Franc Tertinek, Rok Dečman, Boris linnet and Jaka Petrus headed to Pakistan on June 28 to climb and Davo Karničar will attempt ski descent from one of the Gasherbrum peaks. They are not sure about which peak they are going to climb, Davo Karničar told in an interview that they will look at the conditions on mountains and if conditions are good they will go for Gasherbrum I or else it will be Gasherbrum II. Davo Karničar is very well known for ski descents from 8000ers, but it’s been a while since he last skied down from an 8000er. Davo Karničar and his brother Drejči Karničar became the first Slovenian team to make ski descent from summit of Annapurna in 1995. In 2000, Davo Karničar became the first to make continuous ski descent from summit of Everest. Update (Aug 09, 2015): Terrain was not good for ski according to Davo and they called off expedition. Davo spent sometime in K2 base camp, he intends to make ski descent from summit of K2 in 2016. Swiss K2 ski expedition Swiss team members Mike Horn, Fred Roux and Köbi Reichen are already in K2 base camp. 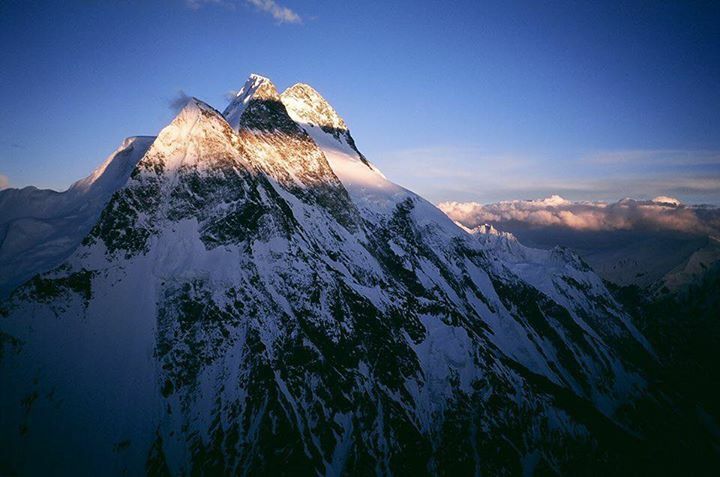 K2 is second highest mountain in the world and no one ever completed descent from summit of K2 on skis. Mike Horn intends to ski down from summit of K2 along with Fred Roux.